Harrison Brown | Littler Mendelson P.C. Harrison Brown has significant experience with research and drafting in the course of employment litigation and in providing cogent and strategic advice to employers regarding all aspects of the employment relationship. He advises management in the prevention and expedient resolution of labour disputes and counsels management in relation to collective bargaining. He provides assistance with the defence of human rights claims and has experience conducting workplace investigations. 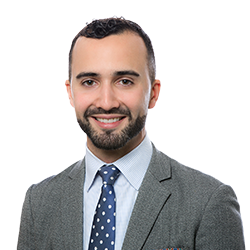 Prior to joining Littler, Harrison completed his articles of clerkship with an international full-service firm on Bay Street where he focused on labour, employment and human rights matters. During law school, Harrison was co-chair of the community outreach association, a member of the Law Students' Society Board representing LGBT students, and a student advocate with Dalhousie Student Advocacy Service representing students charged with academic and Code of Conduct-related offences.